New 2018 home in The Reserves at Long Lake Ranch! No need to wait, you can move into this highly desirable community right now. This is a two story, 3 bedroom, 2.5 baths, 2143 sq ft, block home with a 2 car garage. 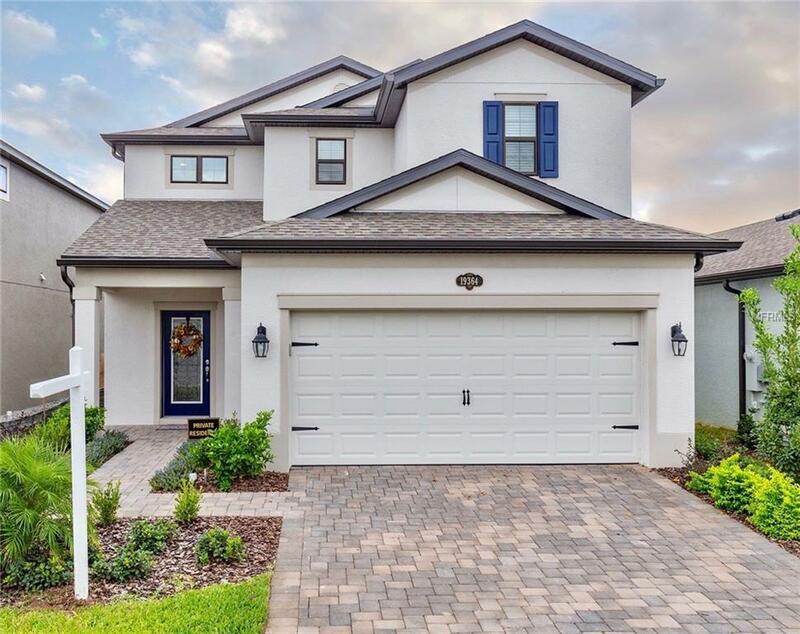 Fall in love with the meticulously maintained landscaping and the paved driveway that leads you into this gorgeous, upgraded home. 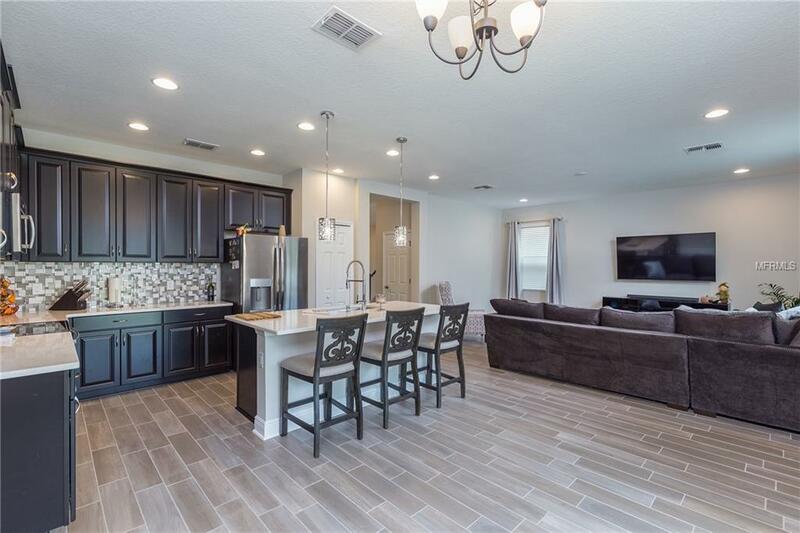 As you enter the spacious foyer, you will see the upgraded stained railing on the stair case, the high ceilings, large base boards throughout, and the stunning porcelain, wood-like, tile flooring. 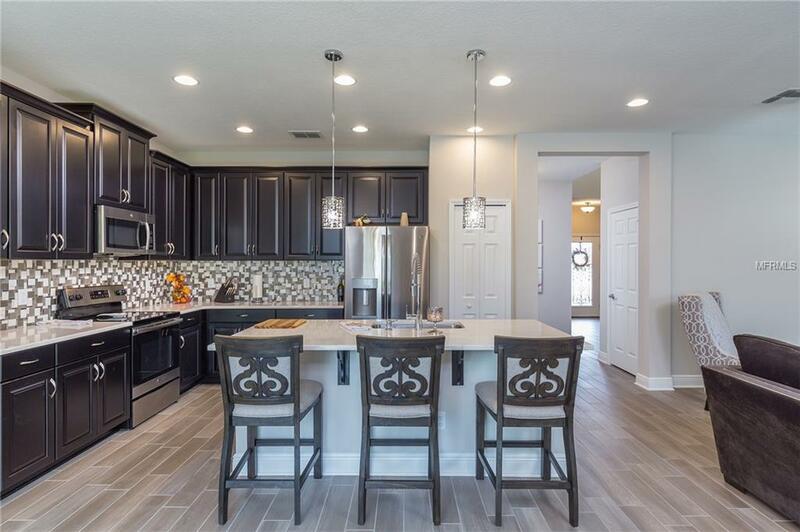 Past the large dinning room, you will see the breathtaking kitchen! 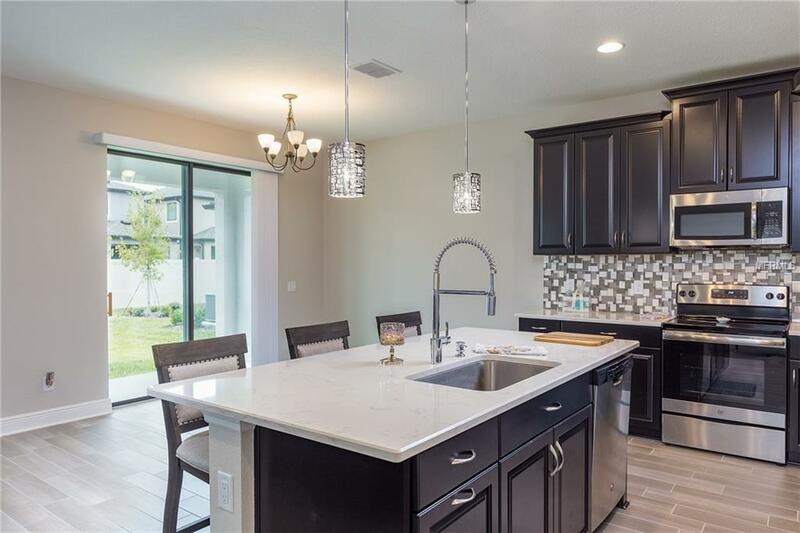 This kitchen has an enormous island, large upgraded cabinets, beautiful backsplash design, and brand new stainless steel appliances. With this open floor plan, it`s easy to entertain guest in the living room while youre cooking. The master bedroom upstairs has two closets including a spacious walk-in closet and an upgraded tray ceiling. The master bath includes a walk-in shower, a large tub, double sinks, and a privately enclosed toilet. The second bathroom includes gorgeous countertops and upgraded dual sinks. The laundry room is located upstairs. Enjoy living in this community and take advantage of all the amenities included. From the resort style pool to a club house and different sport courts available, there are many more amenities offered. Conveniently located close to Veterans Expressway, Suncoast parkway, Dale Mabry Hwy, restaurants, and shopping centers. Additional Lease Restrictions The Property information Provided Here is For Reference Only But is Not Guaranteed To Be Accurate. It is The Buyer/ Buyer Agent`S Responsibility To Contact The Hoa And Verify Any Lease Restrictions. Pet Restrictions The Property information Provided Here is For Reference Only But is Not Guaranteed To Be Accurate.It is The Buyer/ Buyer Agent`S Responsibility To Contact The Hoa And Verify Any Pet Restrictions.